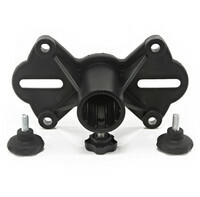 Top hat universal speaker stand adapter suitable for the Yamaha Stagepas SubZero Portable System and any other speaker which accepts a universal mounting bracket. Mounting bolts included. This entry was posted in Gear4Music and tagged PA-DJ-and-Lighting. Bookmark the permalink.